This South American destination has lured many international travelers to enjoy beautiful scenery, thriving metropolises, and quaint colonial towns. Adventure vacationers and outdoor enthusiasts are taken in by Brazil’s impressive waterfalls, red-rock canyons, clear rivers, white-sand beaches, and incredible jungle landscapes. Other tourists who may be interested in taking in the culture and relaxing can immerse themselves in outings filled with music, dancing, and merriment. Humanitarians planning an international trip to Brazil can find non-profit organizations and service projects in need of donations. 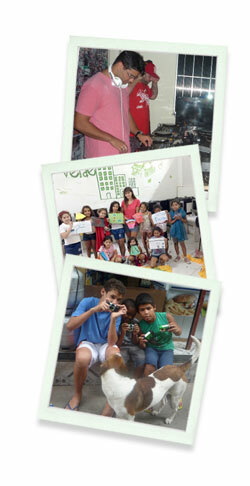 One of the many non-profit groups in Brazil is the Casa Grande Association. This group helps children in need receive free education, social support, and hygiene support. Through the lodging Pousada dos Duendes, underprivileged children receive English lessons, computer classes, and lessons in music, art, and theatre. This group accepts charitable donations of school supplies; voluntourists interested in responsible tourism can donate pens, pencils and paints, as well as hygiene supplies, clothes, and used laptops.